Northland borders Worthington to the west and New Albany to the east. It covers more than 25 square miles and is home to a very diverse population. It is not uncommon to find 50 year Northland residents living side-by side with young couples or even new immigrants. The area offers easy access to downtown Columbus, it’s northern suburbs and major shopping hubs like Easton Town Center and Polaris Fashion Place. Northland is also just minutes away from many of Central Ohio’s biggest attractions, including Crew Stadium and the Ohio State Fair Grounds. 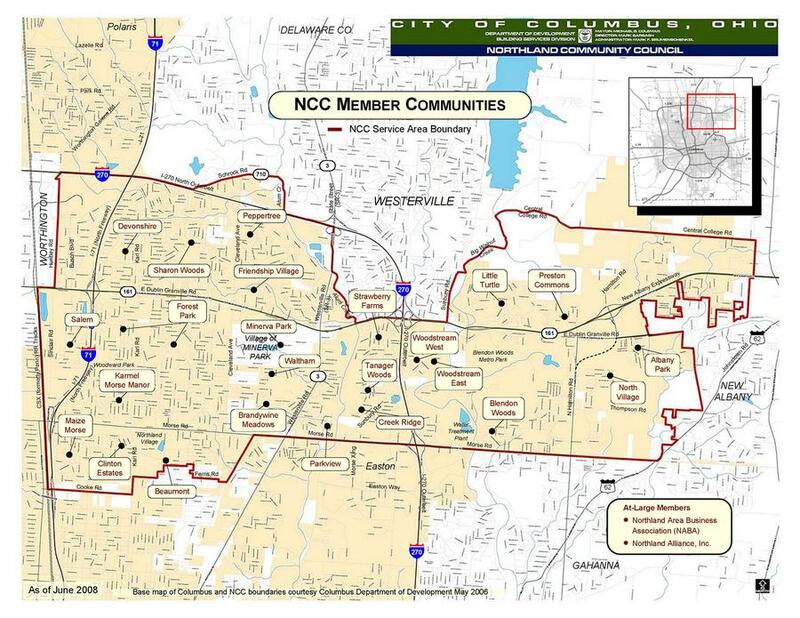 A precise description of the NCC’s jurisdictional area can be found in the Council’s by-laws.